Halo Power-Trac® Collection L-Connector features molded polycarbonate construction and matte black finish. It has a dimension of 4-1/4-Inch x 4-1/4-Inch. 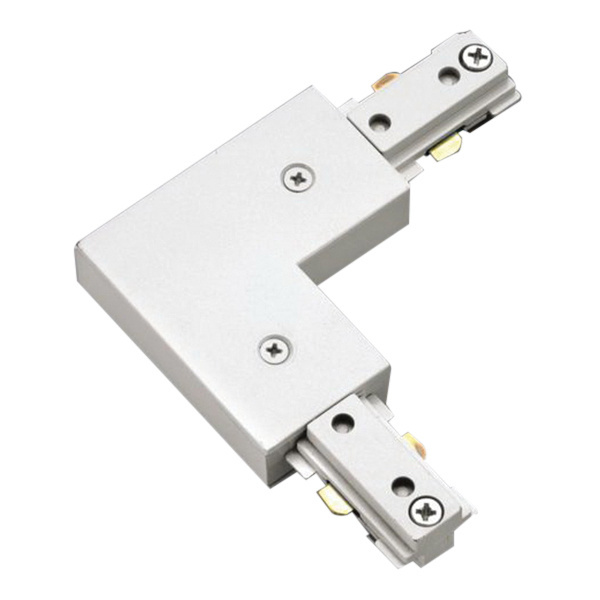 This connector is suitable for use with L650/L651/L652/L653 miniature 1-Circuit track lighting systems. It can be used as a feed point and assists to connect two trac sections at a right angle. The connector is field adjustable that helps to use for both right hand and left hand applications. Connector is cULus listed.